It is said that there is a right time for everything. On the right time, all the stars align, the planets take their designated positions, all the essentials fall into place and things happen. Things that not a lot of people foresee or predict happening. 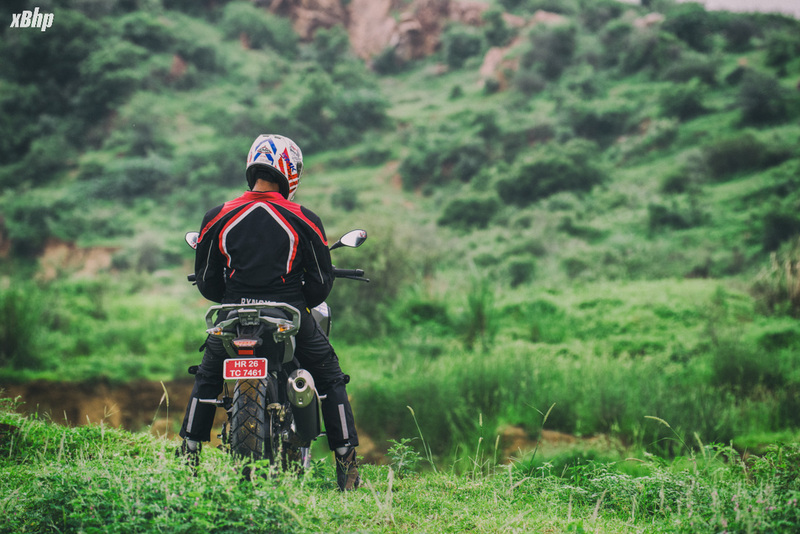 The motorcycling scene in the Indian subcontinent has grown leaps and bounds if one compares it to what it was a decade or two ago. 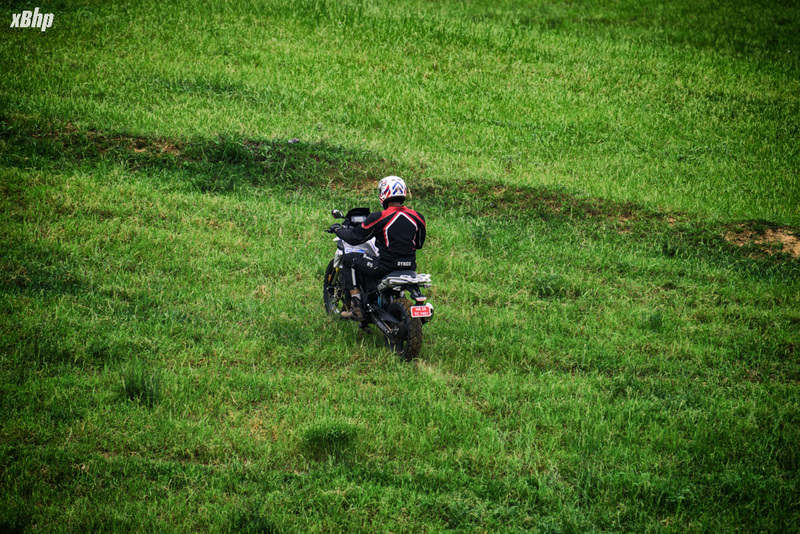 Even a few years ago, we saw the arrival of the bikes and the rise of the Indian Motorcyclist. But something was missing. We had superbikes, roadsters, small-capacity sporty motorcycles, really big cruisers and what not. What was missing was a small and accessible ADV or Adventure motorcycle. We did have the big bad Beemer, the R 1200 GS but frankly, something north of 15 lakhs is not something I’d call accessible. 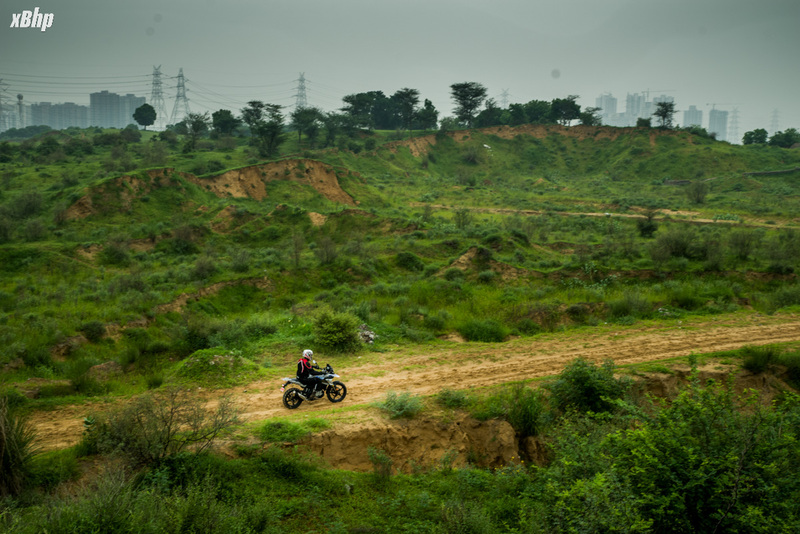 There were a few more as well but the price was something that deterred the Indian adventure motorcyclist from treading the ‘unruly’ path of dirt and mud. 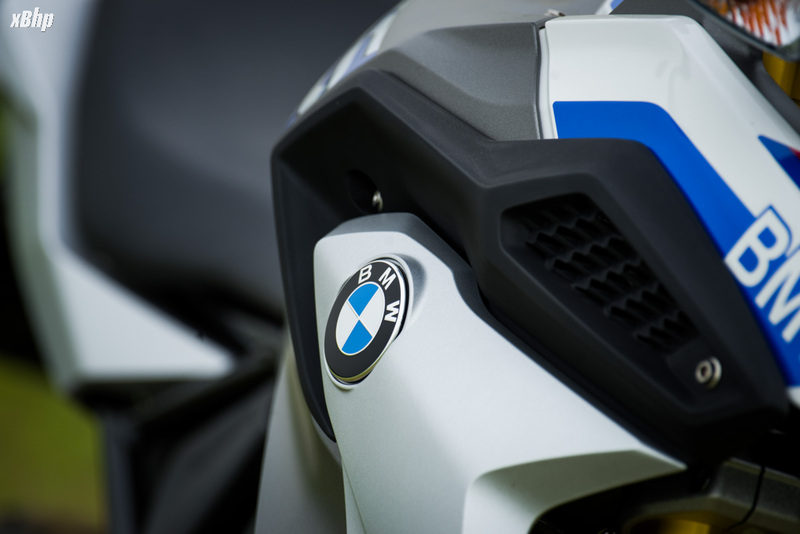 In comes the BMW G 310 GS in its attempt to be the stalwart of change. The baby GS has been available worldwide for quite some time and but was launched in India just recently. 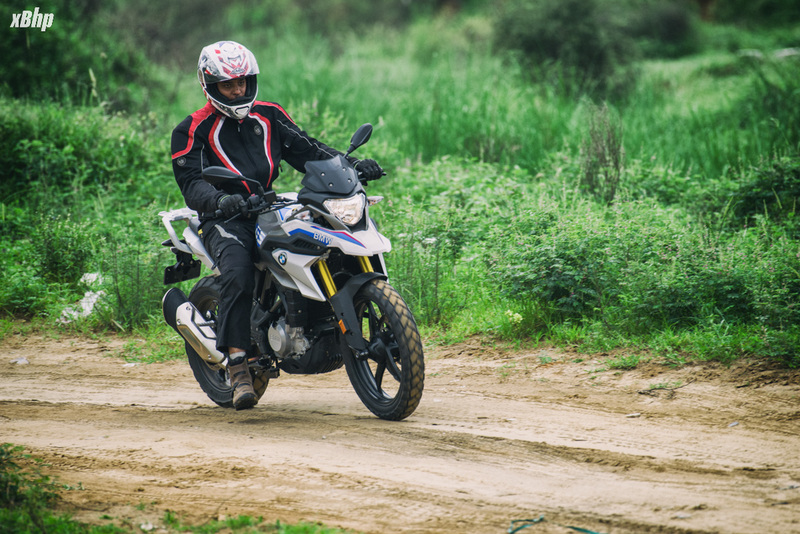 Interestingly, it was being manufactured here in India and being exported worldwide but BMW Motorrad took its own sweet time to officially launch the G 310 twins here in India. We tested the two G 310 siblings in Australia (read about it here), but Indian subcontinent always presents the new kids on the block with its own set of challenges. 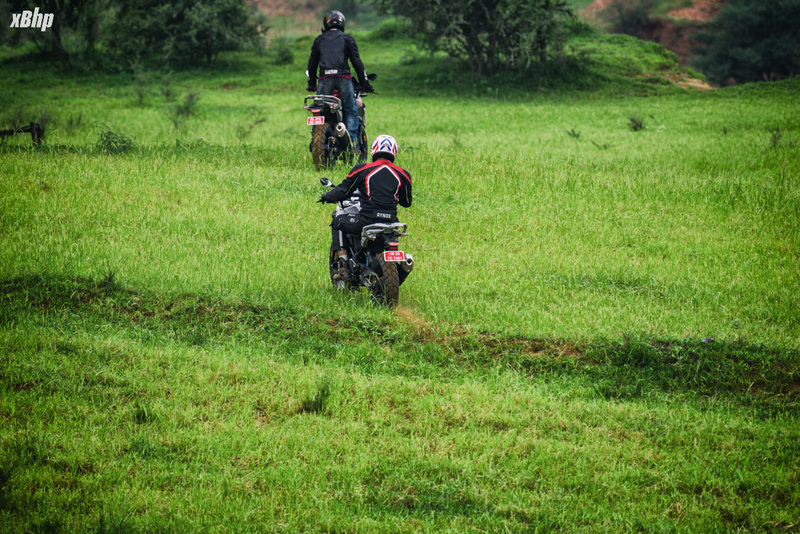 We already knew how the bikes were and yet we were eager to test them out here in India especially the G 310 GS. 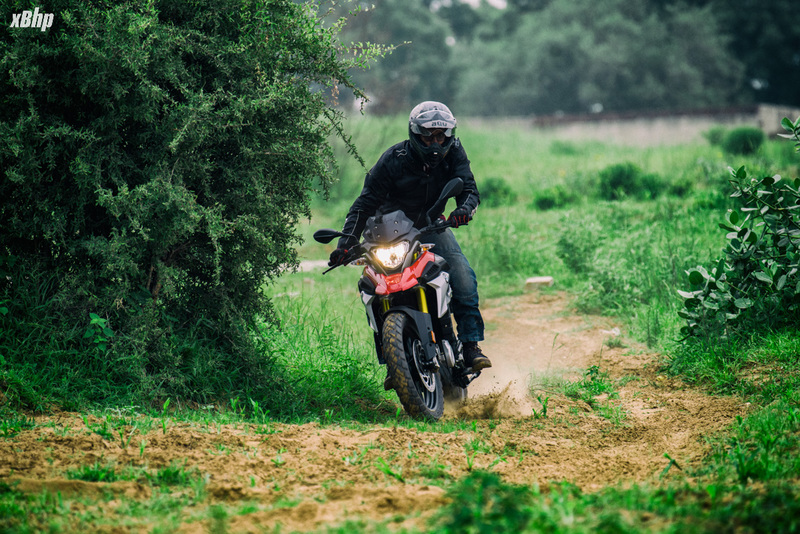 The reason for that is simply the lack of competition and the changes the G 310 GS might bring out in the small-capacity adventure motorcycle market being the flag-bearer of the change. 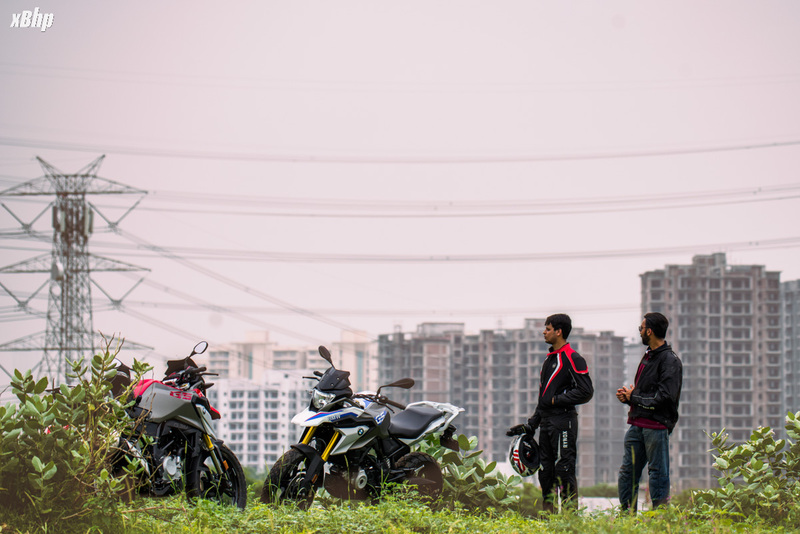 So we test out the baby GS here in India and indeed, the wait is finally over. 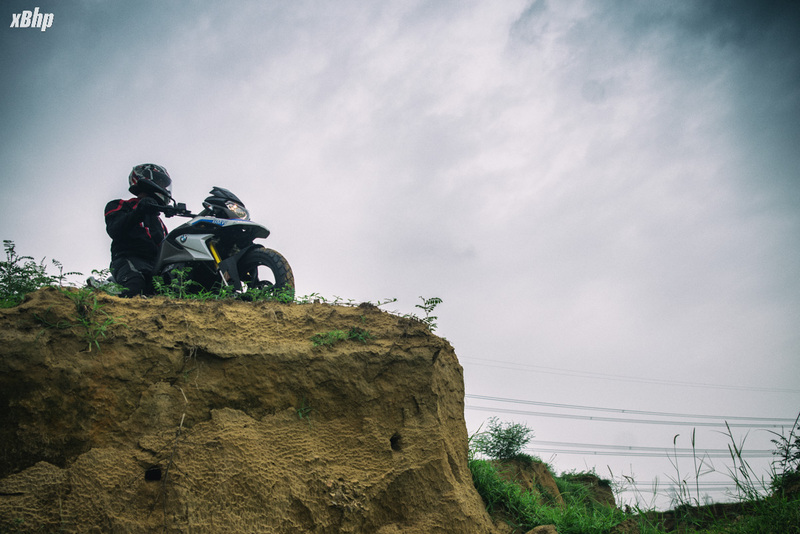 The big GS or the R 1200 GS has been one of the most iconic adventure-touring motorcycles in the world and enjoys being in the good books of every motorcyclist the world over. 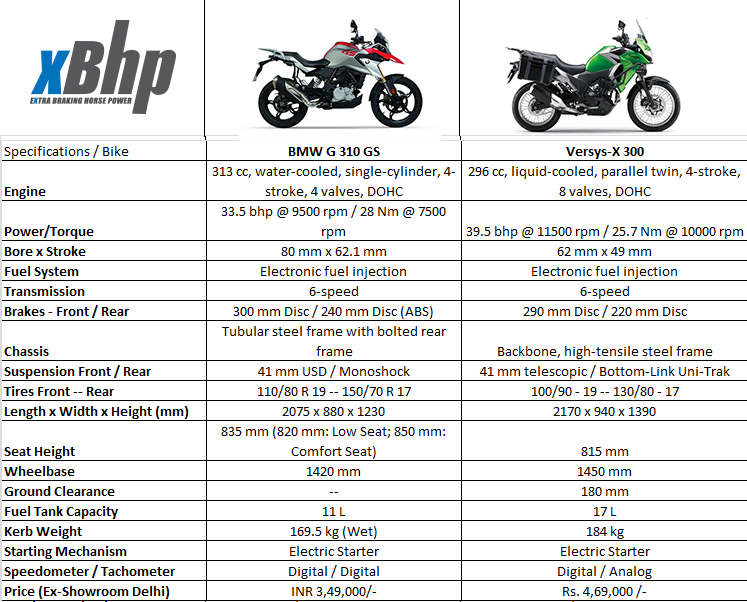 And probably that is the reason why the G 310 GS was made to look like it belongs to the GS family. Although when parked side by side it looks like the R 1200 GS just gave birth to the G 310 GS, but remove the big one from the equation and the baby GS makes for a very very strong case in visual arts. It is big. It features a 19-inch front wheel, the traditional GS snout and fairing, gold anodized USD forks, a small-ish windscreen and Metzeler Tourance tyres. It looks every bit as good as its bigger family members and exudes purpose. And to complete that package, it features a luggage carrier as well. Without any doubt, the DNA of the bigger GS has trickled down to the baby GS and it should work wonders for it in the looks department. Looking at the baby GS in flesh presents a whole new perspective. I just could not get over the size of the motorcycle and the bystanders also felt the same way when we took it out for a spin. Or maybe it was the BMW badge. Maybe. But personally as well, I really like the way the GS looks and premium-ness is also something that the baby GS oozes in addition to the purpose that it serves. But then again, looks are subjective. Gosh, I tried so hard to leave it out this time but I guess this ideology has been embedded so deeply in our sub-conscious that it isn’t even voluntary anymore. The engine on the G 310 G is a 313cc unit which produces 34 Ps of power and 28 Nm of torque at 9500 rpm and 7500 rpm respectively. That is all the technical info that we’ll have here (rest of the technical data would be in the spec/compare sheet at the bottom). What does the engine feel like? Like the title says, a gem. It is a fun and tractable little motor which has ample power and it is delivered in a very sedate and linear fashion. 34 Ps on the GS will never feel intimidating even to the uninitiated which makes the motorcycle feel very tamable. It is also quite refined being a 313cc single cylinder unit. It is a bit buzzy but that is something natural to single-cylinder engines of higher capacity. 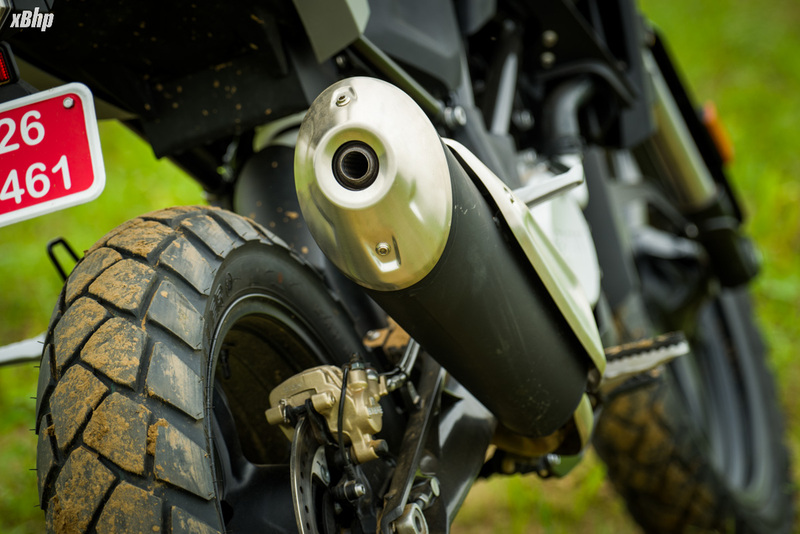 Although vibrations are there if one decides to keep the engine spinning at higher RPMs, but the solid build of the motorcycle and the power keep the rider engaged enough to neglect this small niggle. The acceleration was quite sedate and the power of the engine was much more evident on the R than the GS. That might be because of the weight but then again, the GS was not meant to break any 0-100 or land-speed records. The power seems enough for touring and the bike is very comfortable around the 90-100 kmph mark and it can do that all day. The heat management is wonderful and even after a lot of thrashing around on the road and off of it, everything seemed pretty ‘cool’. The gearbox was pretty much the highlight when it comes to the G 310 twins. 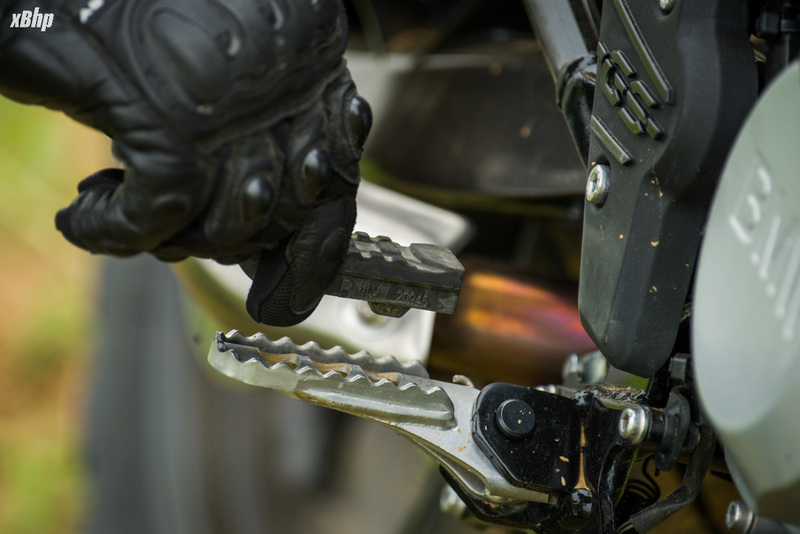 The G 310 GS enjoys an extremely slick gearbox with a light clutch-action that makes things fun whether you are dealing with the traffic on the road or the mud off the road. The fuel delivery and the throttle response were also very crisp. Special mention should be there for the exhaust note which is rather dull in the lower rev range but gets feisty as one twists the throttle further. Around the top of the rev-range it sounds majestic and makes one want to stay only in that part of the rev-range. What I am going to mention now was evident on both the G 310 siblings. 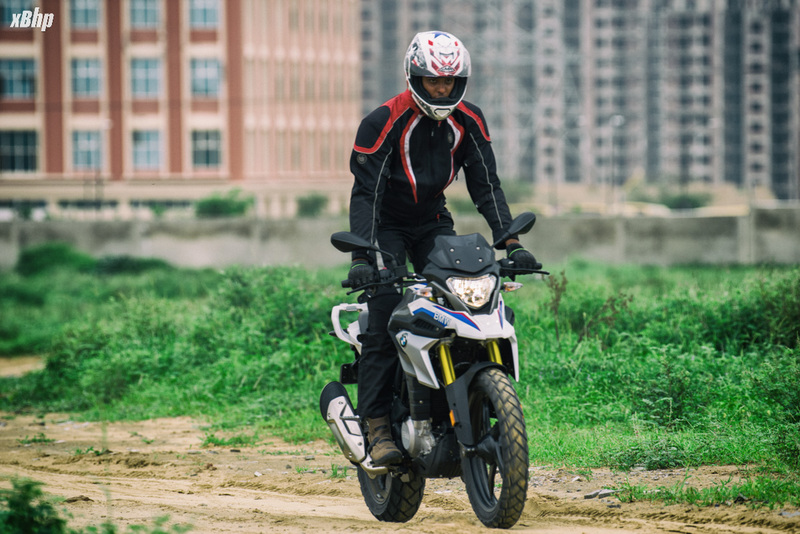 The G 310 GS has a very strong mid-range and a surprisingly good top-end (albeit with vibes). But the lower end of the rev-range is where things get dodgy. It needs a handful of throttle and lot of clutch modulation to get going without stalling. 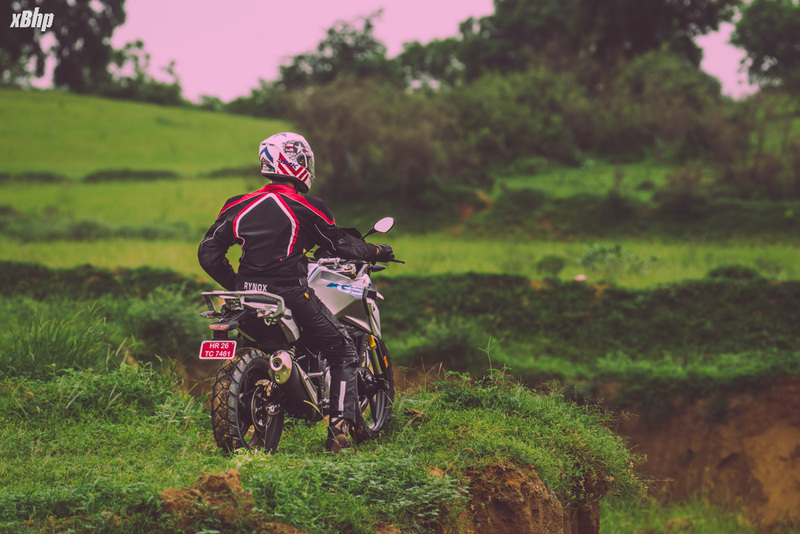 This problem plagued the GS a bit more when compared to the R. In almost every instance off the road where the front wheel was faced with a lot of dirt, the bike would stall if I was not hard on the throttle. This makes the slow speed maneuvers a bit difficult. And that includes U-turns so it does take some getting used-to. With the slight vibes and this incessant stalling issue, the bike scores 4/5 in the engine department. 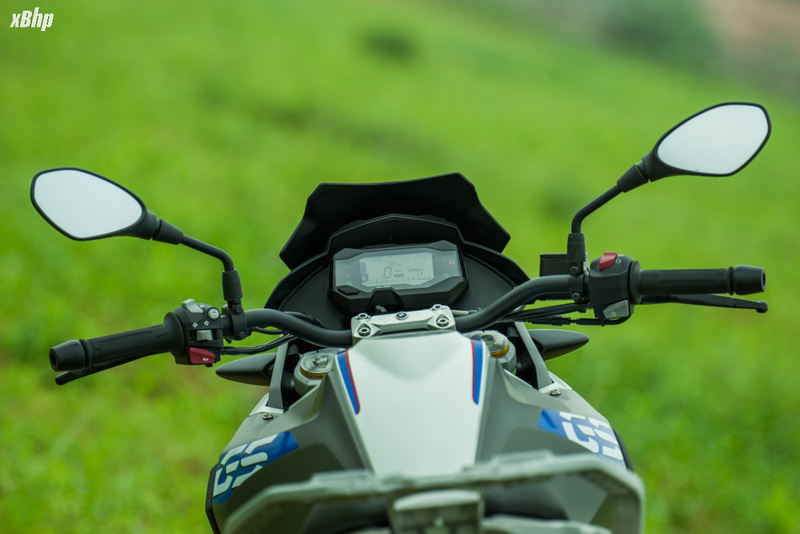 This is the part where the purpose of the G 310 GS is the most evident. 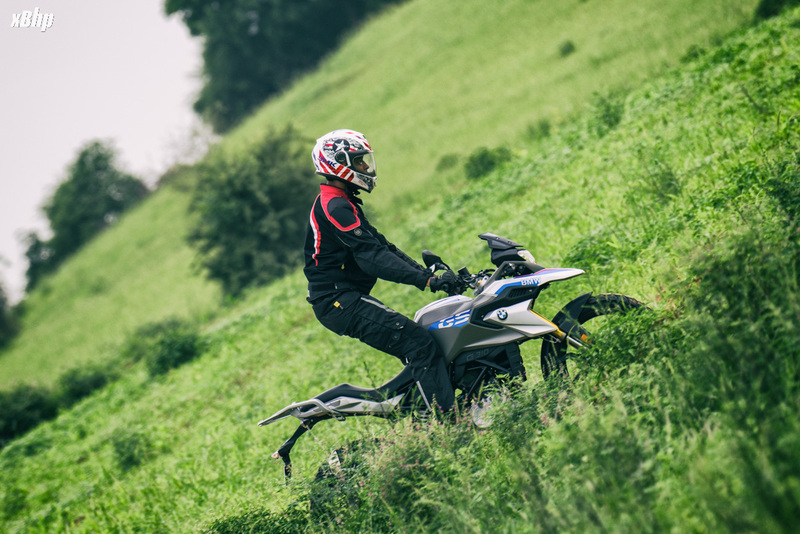 The 19” front wheel, the increased travel of the both the front and rear suspension (180 mm) and the ergos make the GS a formidable package when it comes to touring and off-roading. Another thing that comes into play is the layout of the engine (cylinder angled towards the rear i.e. reverse-inclined engine) which enabled the use of a longer swingarm without increasing the wheelbase which helps the agility of the motorcycle. 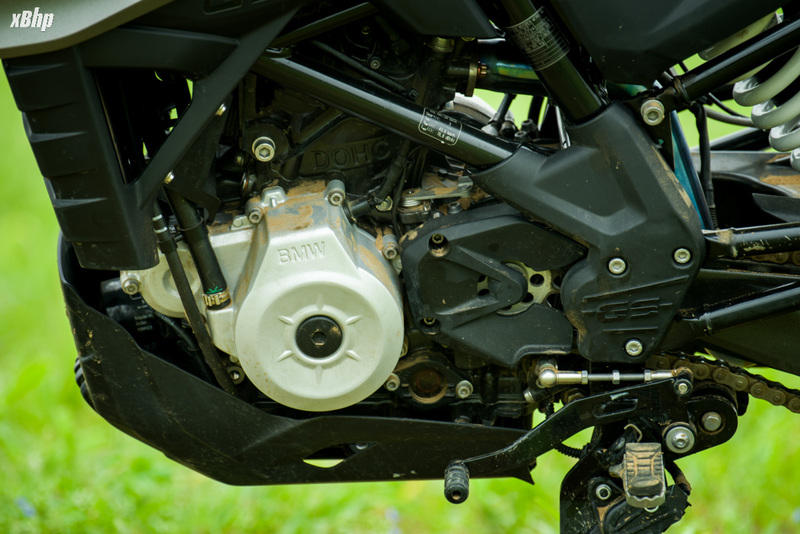 Even though this engine layout remains the same in both the motorcycles, the wheelbase of the GS is longer (1420 mm) than the R for obvious reasons. What does all this translate into on the road (and off it)? Sheer joy is the answer if one wants to keep it short and sweet. But we don’t want that now do we. We want all the nitty-gritties so here it is. We took the GS out on the road first and finding a road which has a lot of broken patches and such isn’t really difficult. The bike seems poised at high speed even on the broken roads which is when the utility of the larger front wheel is the most apparent. 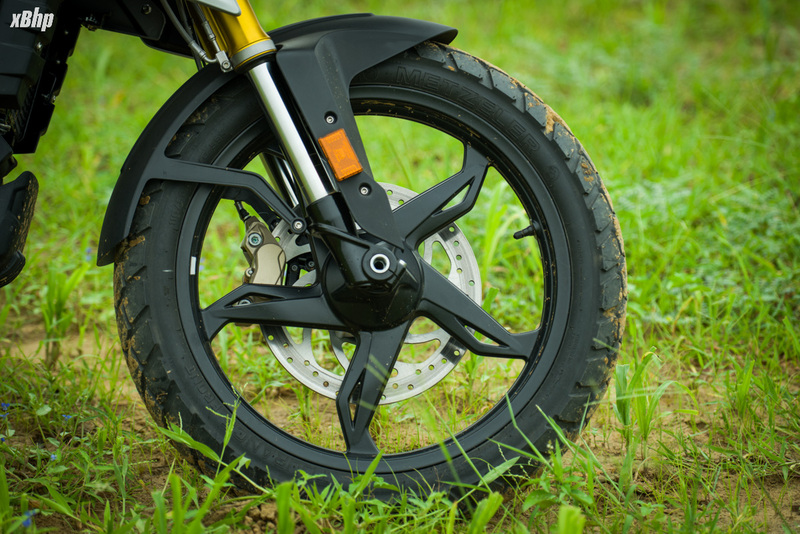 The size of the front wheel is directly proportional to the gyroscopic effect associated with it. Thus a bigger wheel has more gyroscopic forces acting on the wheel keeping the bike steadier and less prone to direction changes because of undulations. The suspensions do a great job of soaking up the bumps on the road. Brakes are another great part of the GS’ handling package. The brakes are sharp and progressive and with a great dual-channel ABS unit, the GS boasts of one of the best brakes in its class. There’s another cool thing that can be done with the ABS which we’ll discuss in the off-roading section. 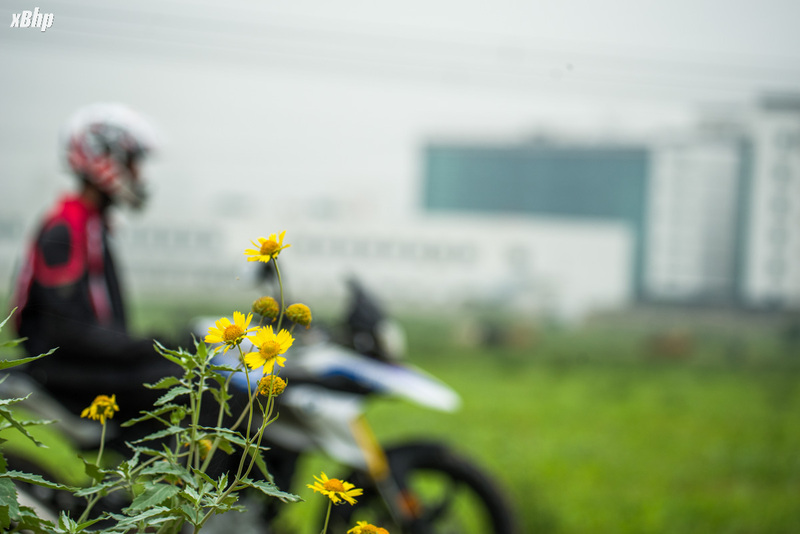 Stand on the footpegs, accelerate to a safe speed, do not bother about broken roads and make yourself advertisement material. That is how composed the GS is. We also took the GS through slaloms to check the agility and amazingly, it fared pretty well there as well. So the longer wheelbase and the bigger front wheel ensure optimum stability and the engine layout help it maintain its agility as well. Well, relatively agile. Therefore we are sure the GS will be a handy tool in the twisties too. Not knee down-ingly good of course. Take the GS off the road and let the joy take you over. The bike is so much fun in the dirt that one cannot keep the grin off their face. I can attest to the fact because the same happened with me. A soft little shower made the job a bit more difficult (a bit more fun) off the road. Now, the ABS on the rear wheel of the GS is switchable (woohoooo). 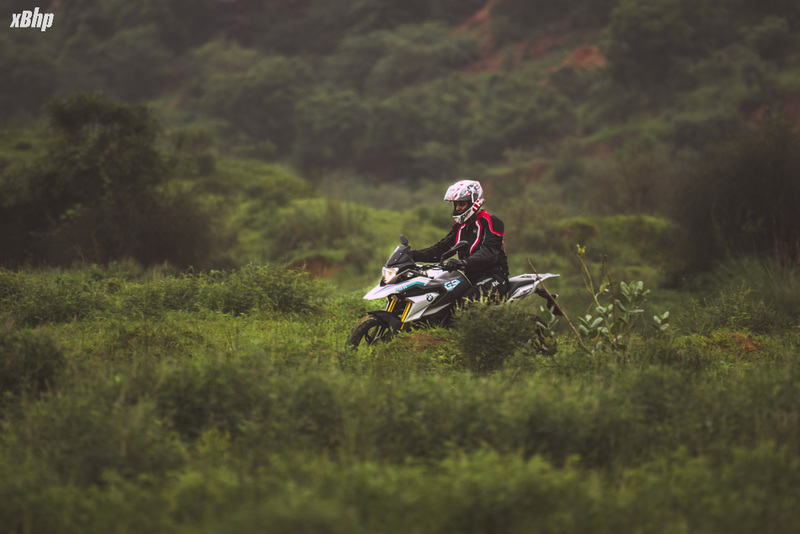 I rode with the ABS on at first but after getting acquainted with the bike and the terrain, I switched it off and boy what areward the GS is off the road. Just stay hard on the gas and let the GS slide itself and you to glory. 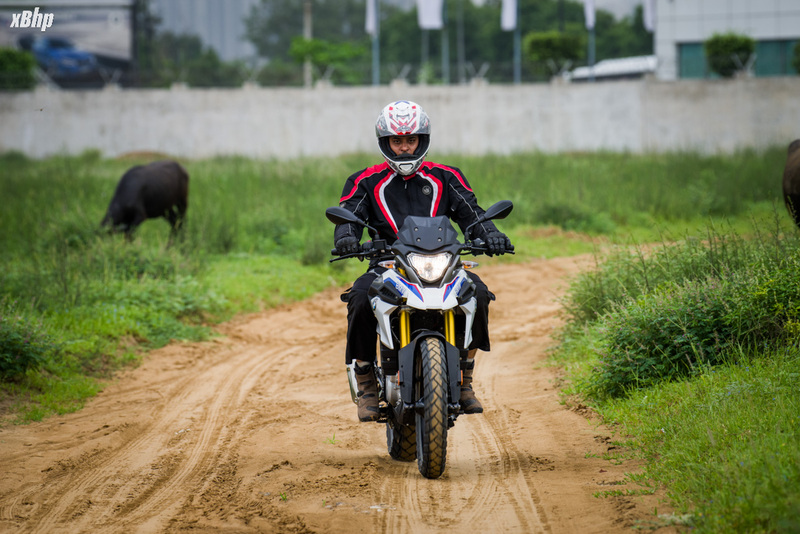 The GS earns a lot of accolades in off-roading and a big contributor to that are the Metzeler Tourance tyres. But yes, I highlighted stay hard of the gas again because one has to be careful because of the stalling at low rpms. A rather great handling package on the GS helps it score 4.5/5 which would have been a 5/5 if it wasn’t for the feeble low-end. 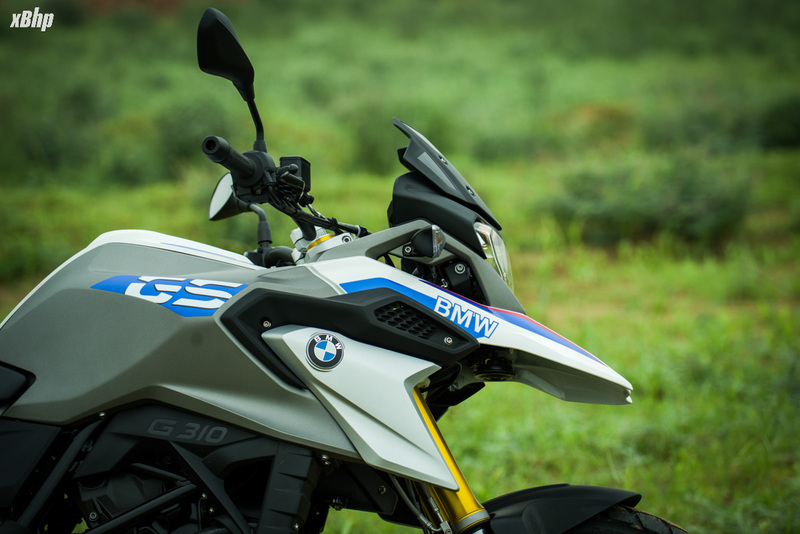 The G 310 GS is an extremely comfortable motorcycle. 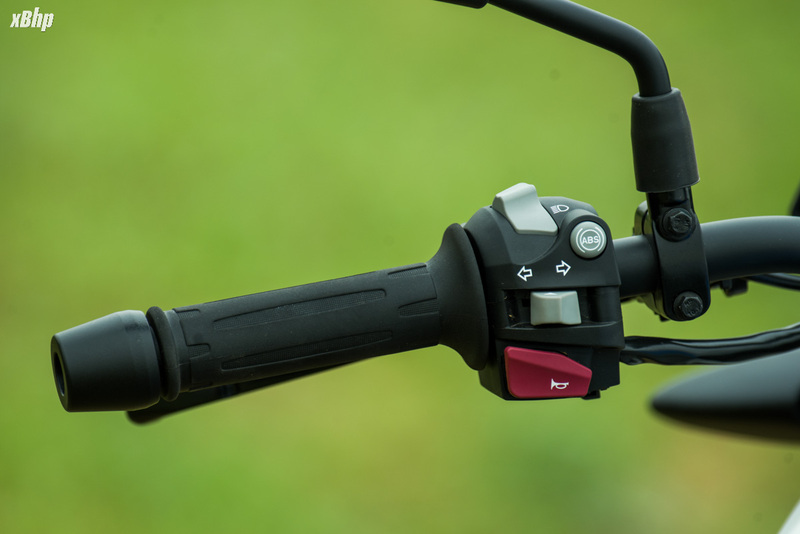 The handlebars are high and footpegs are forward set which make for a very comfortable rider’s triangle. The seat is plush and one of the most comfortable I have tested till now. A few hours and a couple of hundred kilometers or so will be a breeze on the GS. The bike is also very accommodating for taller riders like yours truly (6’3). I spent quite a lot of time aboard the GS and even after that I could have gone for a few more hours without getting too tired. Therefore we think that the GS will prove to be a wonderful tourer as well. Now, the things that one must be wary off. The seat height. At 835 mm in the stock condition, the seat is quite high. I did not have any issues planting my feet firmly on the ground, but shorter riders might find that a bit difficult. There are options for seat height as well with 820 mm being the low-seat option and 850 mm being the comfort seat option. 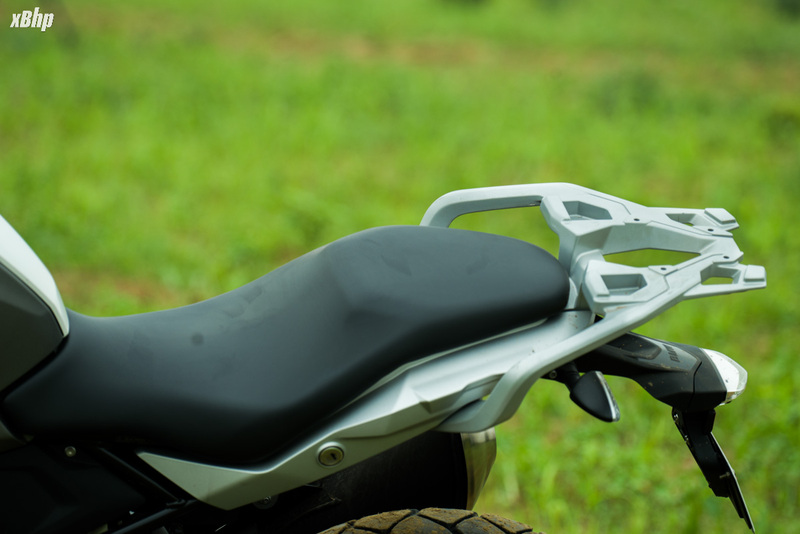 So the seat height will also play a pivotal role in one’s decision of purchasing the G 310 GS. Mileage: Although views on the mileage will only be available after a long term road test, we are quite sure because of our rides in Australia that the GS might be able to return something around 30 kmpl in mixed riding conditions. 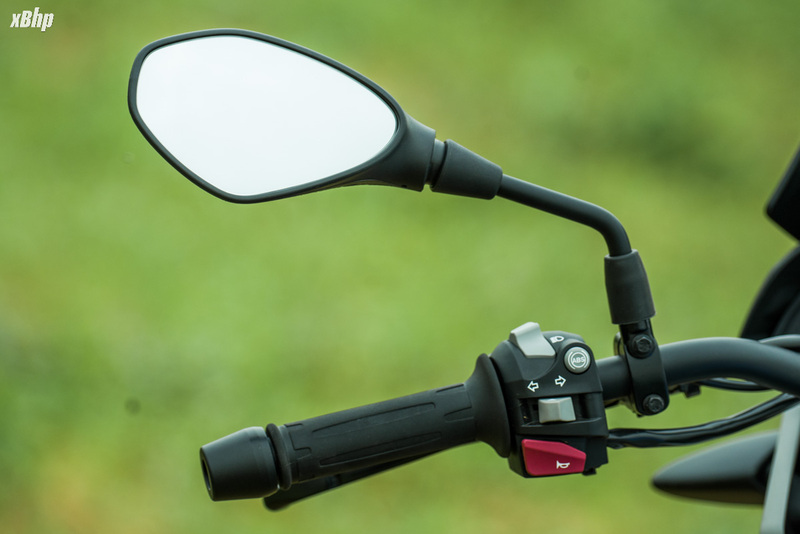 Rear-view mirror visibility: The rear view mirrors on the GS are a bit small yet very functional and offer a good and clear view of what you are leaving behind (mostly dirt!). 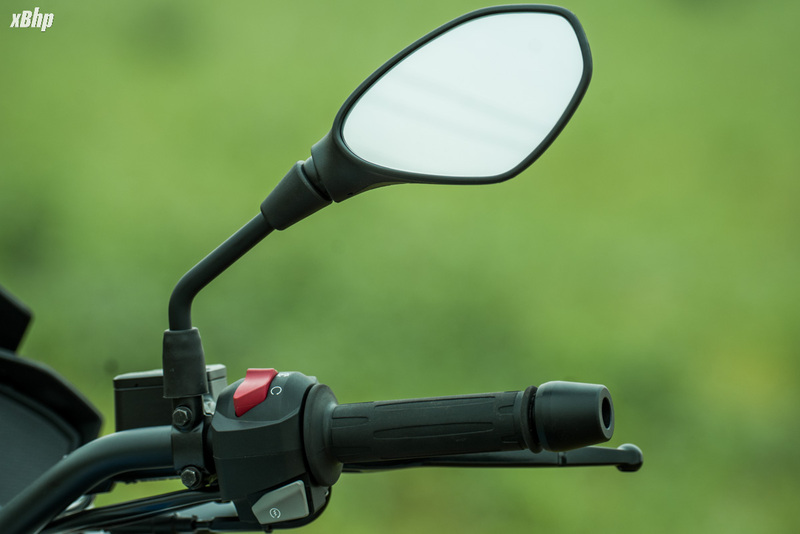 A little problem is that the buzzy nature of the single-pot somewhat distorts the view when the motorcycle is being revved hard. Headlight performance: We only rode the GS in the day so our views on the headlight performance are reserved till a long term road-test. Build Quality: BMW. That is all I am going to say and that should suffice. In case it does not, the build quality is top notch. The fit and finish is perfect and bike looks and feels premium from every angle. Instrument Cluster: A fully digital LCD instrument cluster. Works fine. Has all the tell-tale signs and basic information. The switchgear quality is wonderful which also houses the button to switch off the ABS on the rear wheel. Hold it down for 5 seconds, a solid ABS light comes on meaning it is off. Cool trick: The ABS can be switched on/off on the fly. 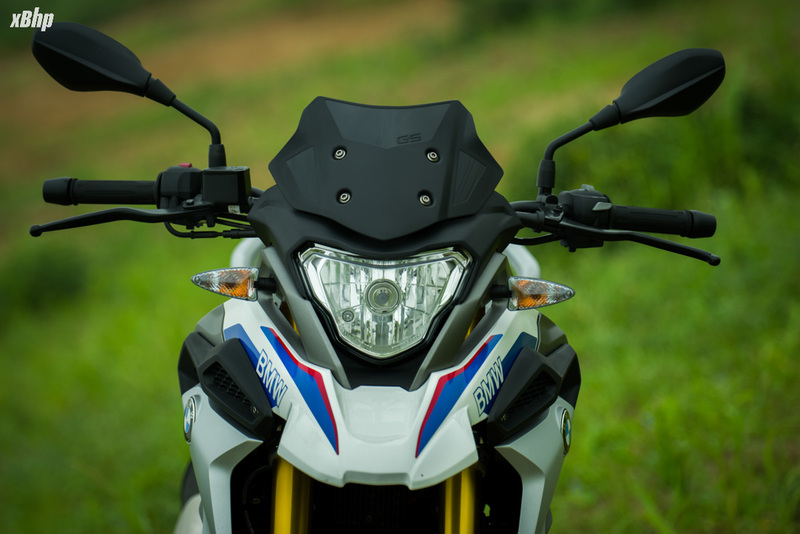 The BMW G 310 GS is a beautiful motorcycle. 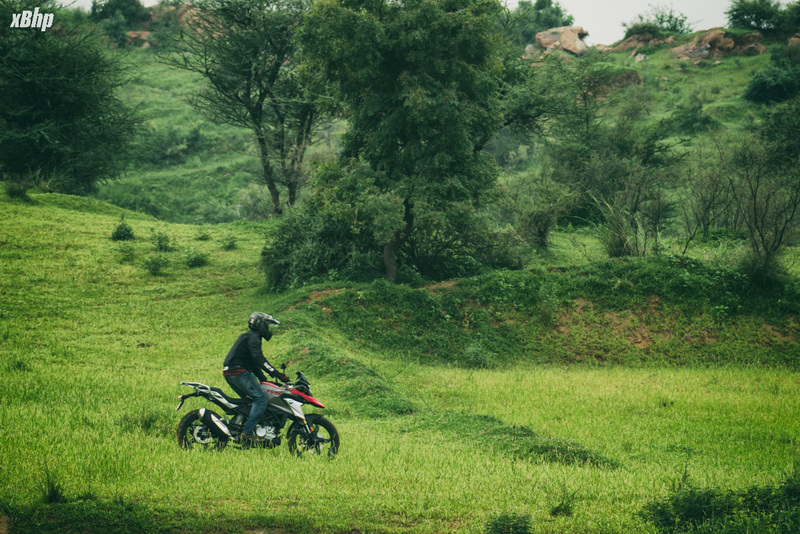 It is comfortable and a joy to ride plus the off-road fun that it offers is unmatched (yet). A great engine and a wonderful handling package makes sure that the positives vastly outweigh the very scarce negatives. Now, the quality of the motorcycle do command a premium as the GS is priced at INR 3.49 lakhs (Ex-Showroom, Delhi). But one thing that is certain is that the GS is a very capable motorcycle and even if it lacked the BMW badging, it would still very well be worth its salt. Also, another feather in the cap for the baby GS is the fact that it will forever be known as the one to have heralded the era of a new segment of adventure motorcycles globally. 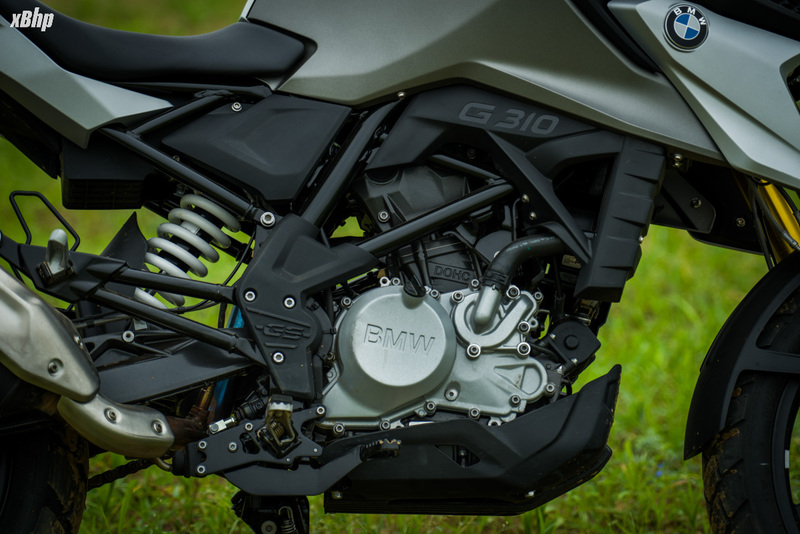 What’s going to be interesting to see is the changes that might follow the launch of the G 310 GS in the market. A message has been sent to Mattighofen from Bavaria and a response from Austria is imminent. 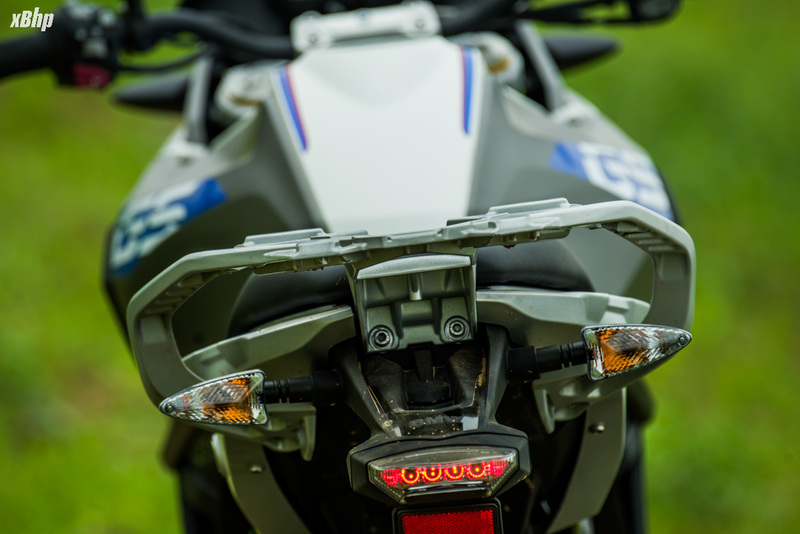 We might even see an Adventure 390 next year and it might very well be the first true competitor of the baby GS. 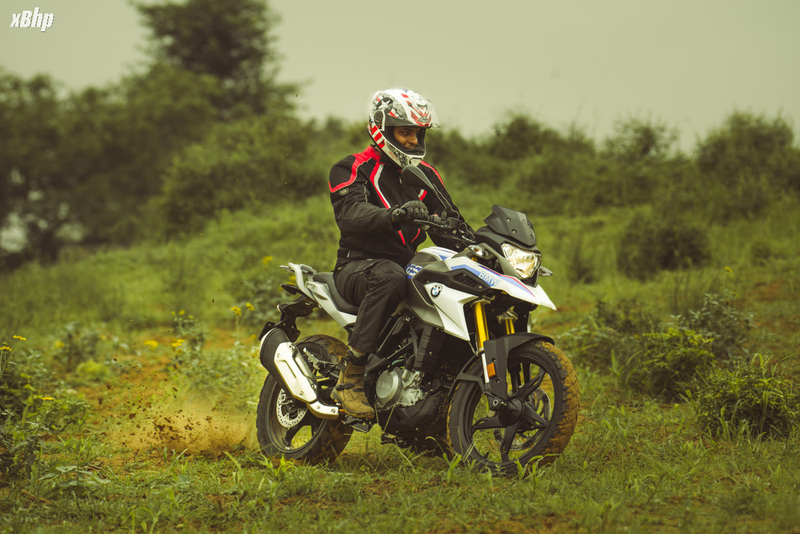 Till then, the G 310 GS is the only choice here and it sure is a wonderful one. 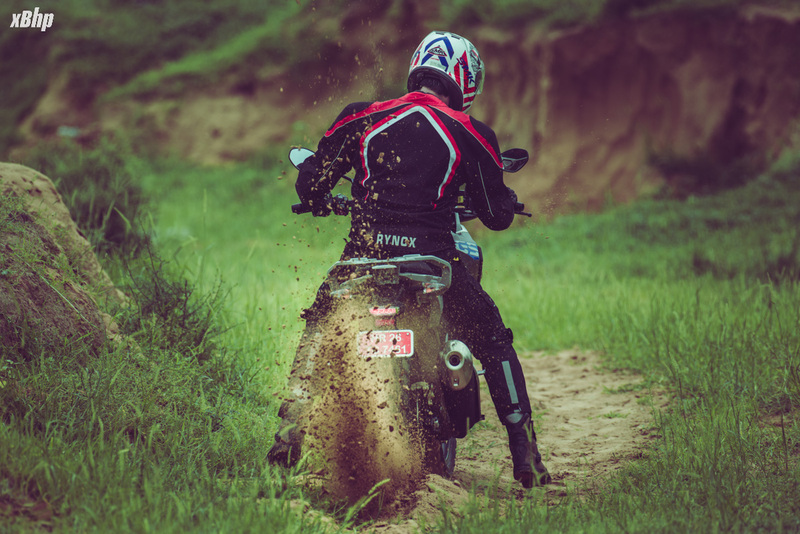 Last edited by xBhp; 08-08-2018 at 03:45 PM. chiragsthakur, manu4j1, rajpal and 3 others like this. Great review! I am happy to learn the quality is maintained. What I am worried about is the abilities of this single cylinder doing heavy duty mile munching. I know the CBR250R did it quite well being a single, I am not sure what is 'Water cooling'? liquid cooling and oil cooling are the types I have heard before. I am guessing this will be coolant mixed with water? Can you tell me which brand engine oil do you prefer for this bike? And how to keep engine performance up to mark? 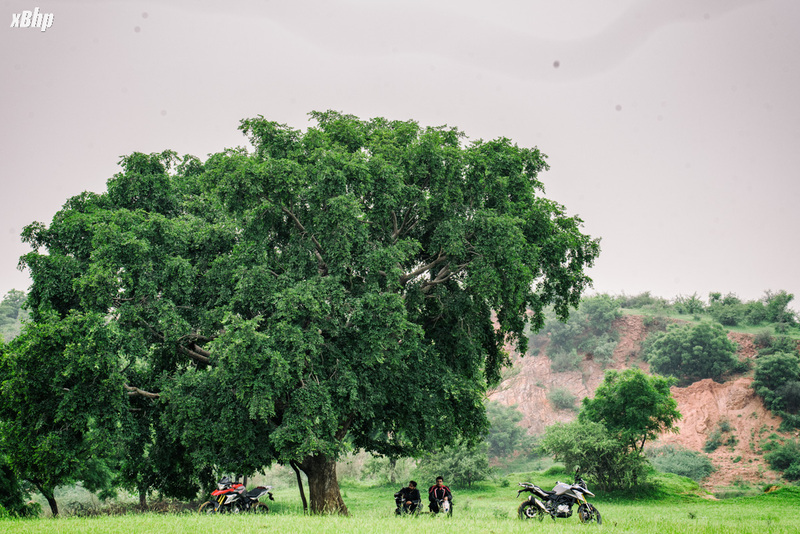 Last edited by xBhp; 03-07-2019 at 11:31 AM. We have been using the Castrol Power1 Cruise 15W50 for it. It has performed quite well. Rest it depends on how you treat the motorcycle, timely service and such. Ciao, India! 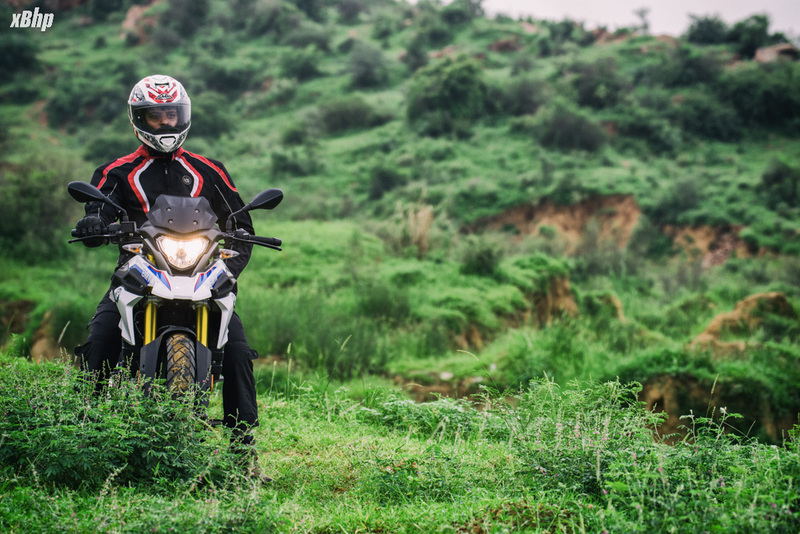 We welcome DSK Benelli to India : We ride the BN600i, 600GT and the 899! All times are GMT +6.5. The time now is 09:35 AM.